HAWAR.help is a registered non-profit organization with offices in Duhok, Iraq and Berlin, Germany. 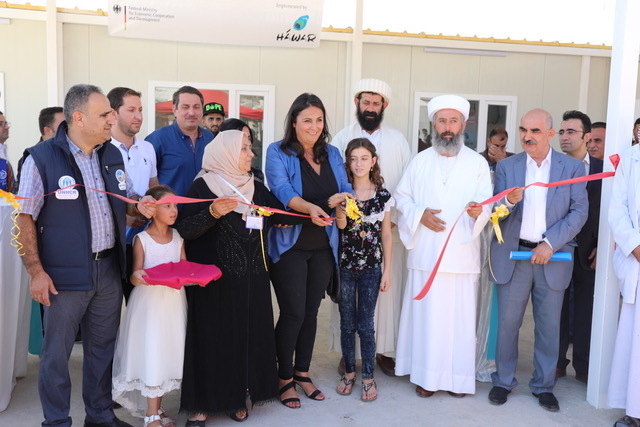 In September 2018, HAWAR.help opened the Back to Life Women’s Empowerment Center at a refugee camp in Northern Iraq to directly support women in the rebuilding of their lives. The Hawar team is made up of passionate individuals from diverse faiths and backgrounds committed to empowering women in the building of a tolerant and inclusive world. We envision a tolerant, peaceful and just world where human rights are respected. A world where individuals can express themselves confidently and safely regardless of their gender, ethnicity or religion. We empower women who have been persecuted based on their religion, race or gender. We build tolerant and open-minded societies by creating opportunities for education, justice and reconciliation. We are guided by our belief in democratic values and that all people are created equal. 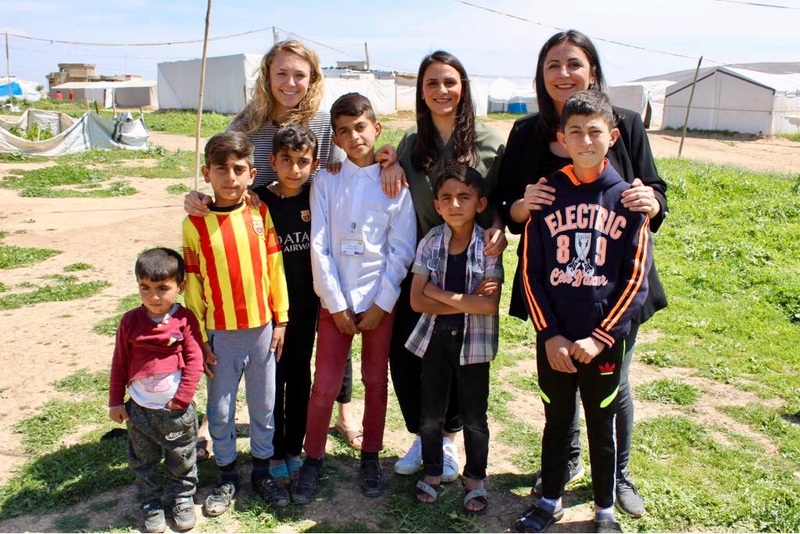 We bring together diverse groups of people through projects and advocacy efforts in Iraq, Germany and the United States. 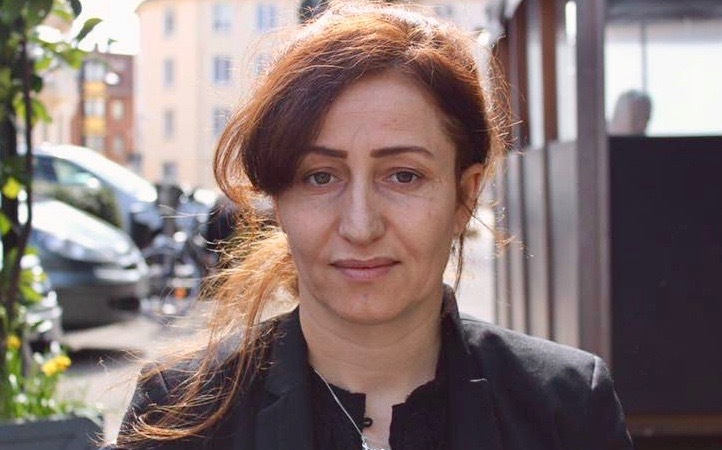 32 year-old Yazidi woman from Kocho, survivor of ISIS and human rights activist. In 2014, Najlaa was captured by ISIS, held captive for 12 months and repeatedly sold on slave markets. She lost 46 family members including her parents during the onslaught. 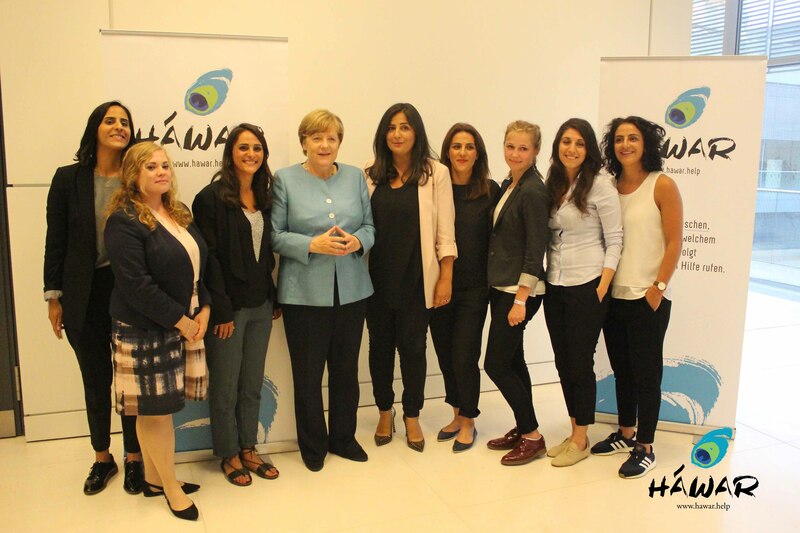 Now residing in Germany, Najlaa has made it her mission to share her story with the world. In 2017 she spoke on the floor of the UN declaring, “I am strong. I am stronger than ISIS”.